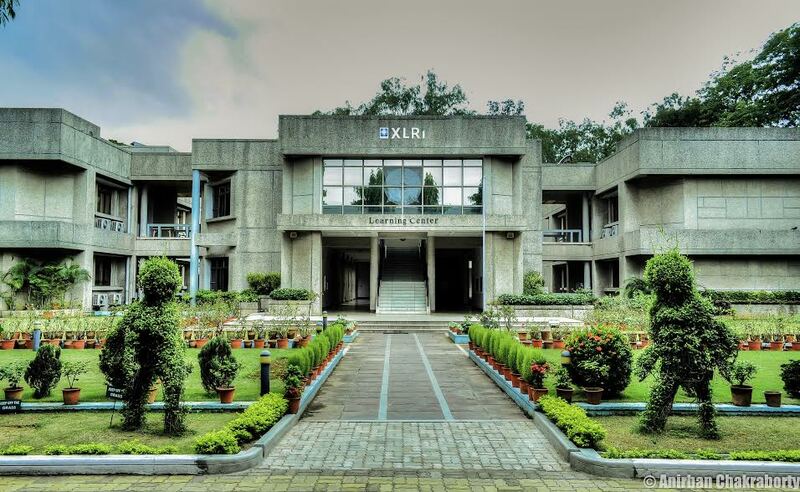 XLRI- Xavier School of Management is all set to host ‘International Conference on the Changing Nature of Careers’ on 14th - 15th December, 2018 at XLRI Campus, Jamshedpur. The conference is anchored by the Centre for Human Resource Development (CHRD), XLRI, which also hosted a similar conference on Assessment Centres and Talent Management in December of last year. The two-day Conference, titled ‘International Conference on The Changing Nature of Careers: Implications for a Sustainable World’, will be chaired by Prof. Michael Arthur (Suffolk University, USA), Dr. Anneleen Forrier (KU Leaven, Belgium), and Dr. R K Premarajan (XLRI, India). Besides scholars and researchers from top level institutes of India– including various IIMs (Ahmedabad, Bangalore, Calcutta, Indore), TISS, XLRI, and Xavier University – the conference will have scholars representing Universities and Business Schools from the USA, Canada, Europe, and Australia. Elaborating about the conference, Co-chair and Professor Emeritus at Suffolk University, Dr. Michael Arthur stated “If the world is to become a safer place, we need to invest more deeply in the careers of its workers and help them become more successful - not only in their careers but in their contributions to a wider peace. It will be a peace nurtured by shared understanding across nations - where career opportunities are open to all people, and markets are responsive to the skills those people can bring." Among the industry experts attending will be CHROs of Deutche Bank, Infosys, ITC and the Manipal Group. Besides, a long list of practitioners representing a wide range of organizations are expected to make presentations on their perspectives on Career and Talent Management challenges in a Gig economy – including those from Accenture Strategy, Adobe, Aon, Citibank, Coca Cola, Colgate Palmolive, Deloitte, Facebook, Korn Ferry, P&G, Quess, Reliance, and SHL. “India, as a major contributor to global economic production, is the right spot to discuss the changing nature of careers across the globe. What I really like about this conference is the opportunity it creates for an open dialogue between east and west, between practitioners and academics. I am really looking forward to the plenty of opportunity the conference will provide to actually meet and exchange views,” opines Dr. Anneleen Forrier, Professor at KU Leuven, Belgium and one of the Co-chairs of the Conference. In light of the trends in work content and work structures, the organisers have identified three major themes for this Conference: a shifting global employment arena, changing employment relationships, and the need to make careers research and practice support each other. These themes inspire three aims of this Conference. A shifting global employment landscape has serious implications for careers in both developed and emerging economies, as jobs become increasingly complex, uncertain and challenging. Thus, understanding how people adapt to the changing nature of work and shape their careers is a central focus of the conference. The nature of the employment relationship itself is becoming more short-term and flexible, leading to the emergence of contingent work and the so-called ‘gig economy’. Hence, the Conference aims to examine how these changing work relationships impact careers. Most importantly, the Conference seeks to balance inspiration and implementation by providing a platform to both academics and practitioners to share their ideas and experiences.